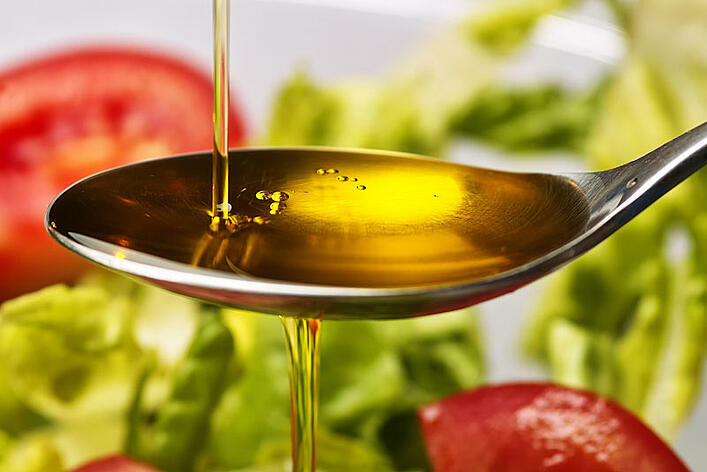 eating about 2 tablespoons (23 grams) of olive oil daily may reduce the risk of coronary heart disease due to the monounsaturated fat in olive oil. The FDA recomends that the 2 tablespoons of olive oil replace other fats in your diet such as butter or other saturated fats. Of note is the fact that the health benefits of olive oil approved by the FDA apply to all olive oils including virgin olive oil, blends of virgin olive oil, and refined olive oil in addition to extra virgin olive oil. Here are a few recipes to make it easy to get your 2 tablespoons a day!